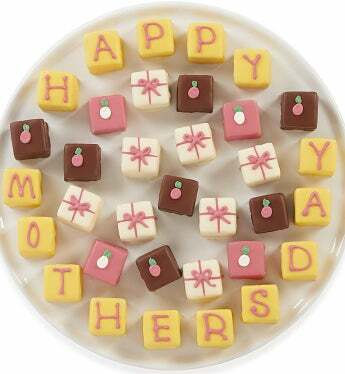 Make Mother's Day memorable when you send mom these decadent petits fours bite-size layered cakes. and she’ll savor every second of her special day! Each delicious cake is an impressive 1 1/4" x 1 1/4". This very special assortment includes: Raspberry Creme, Bittersweet Truffle, Lemon Creme, and Strawberry Creme. Arrives in a gift box adorned with a satin ribbon.